Two-time United States Auto Club Silver Crown champion David Steele died in a sprint-car crash on Saturday night while racing at Florida’s Desoto Speedway. The Miami Herald reports that Steele’s car went airborne in a wreck during the main event, and that medical personnel pronounced him dead on track. According to the Herald, speeds were upward of 100 mph at the three-eighths-mile asphalt oval earlier in the day. Steele, 42, was racing in a Southern Sprint Car Shootout Series event that night in the No. 33 winged sprint car. The Herald reports that Steele started the main event toward the back of the field, making an early move to pass another driver when the two hooked wheels. According to the source, his car was not hit by another vehicle after it struck the wall and the visible damage to the car was consistent with a vehicle hitting the outside wall flush on the left side. According to multiple sources, the race was immediately red flagged and track emergency personnel were at the vehicle in seconds. According to a source affiliated with the track who was not authorized to speak on the record, the track has multiple fully-trained medics, EMTs and firefighters at the track for each race card. That was the case Saturday night as well. Despite the rapid response, Steele was pronounced dead on the track. Track personnel, emergency personnel and local authorities called to the track after the incident were still on the track at the crash scene near midnight. Track personnel, race officials and other witnesses were waiting to be cleared to leave the facility. Desoto Speedway owners and staff are saddened by tonights [sic] passing of David Steele in the Sprint car feature. Thoughts and prayers go out to his family and friends who were all in attendance, to see him try to win his 100th florida [sic] race. According to National Speed Sport News, Steele was the USAC Silver Crown series champion in both 2004 and 2005. He also won 53 USAC national races during his career, and was the winner of the most recent Southern Sprint Car Shootout Series feature at 417 Southern Speedway in Florida on Feb. 25. 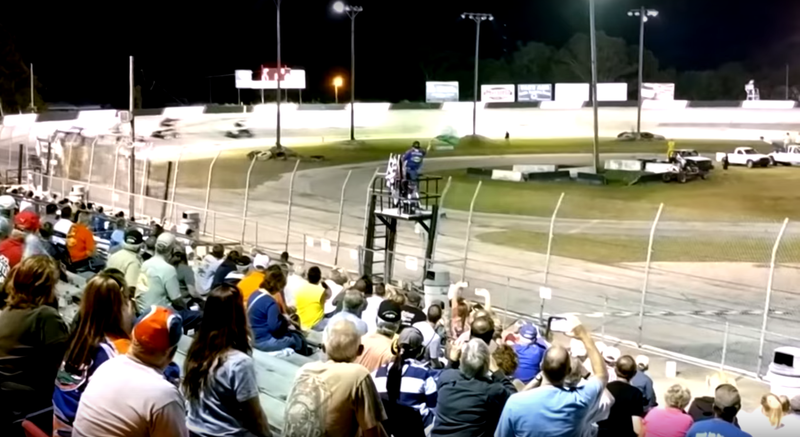 Over the past several years, sprint-car crashes have killed drivers like Tyler Wolf, Kramer Williamson, James Campbell Jr., Scott Semmelmann and NASCAR’s Jason Leffler.